Enjoy one level living in one of East Asheville's most sought after communities. Walking distance to schools and the East Asheville Community Pool and Ball Fields. This home sits on a private 1/2 acre lot with long range westerly views. The 3 bedroom, 2.5 bath, all brick home has a large family room with wood burning or natural gas fireplace, spacious living room area, formal dining room, covered front and back porches, newer roof, windows and hvac system. The massive unfinished basement can be easily converted to more finished living space or a great workshop. Plenty of parking space for multiple cars. 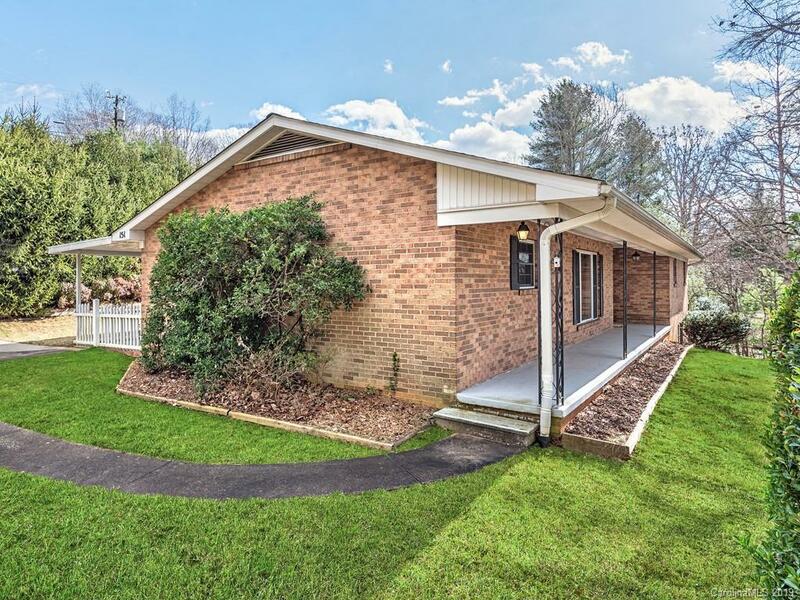 Conveniently located, just a short 5 minute drive to the Asheville Mall or Blue Ridge Parkway. 10 minutes to downtown Asheville!